Slide, pop, and click your way into funky fashion with Vita Perfetta Design-A-Watch. Classic, sporty, or glam, what’s your style? 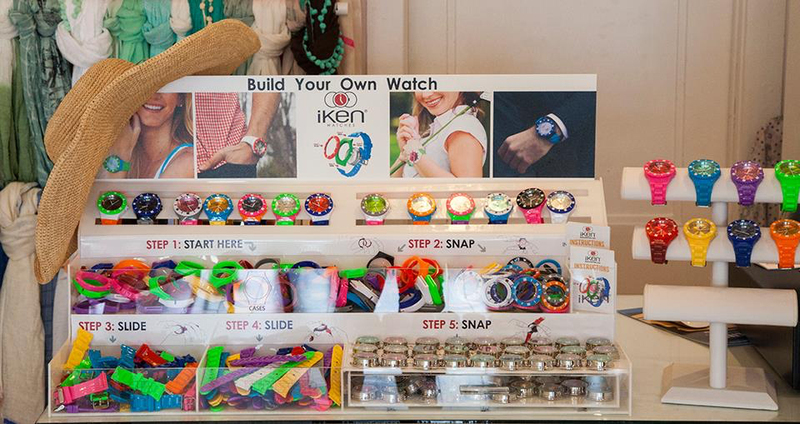 We use top quality Iken watch parts to create unique design combinations that are custom to each party guest. First, mix and match faces, bezels, and bands. Then our friendly staff quickly assembles them for a hot new watch design that totally matches your style. Vita Perfetta Design-A-Watch is hot party fashion just for you!